We offer Rice Packaging Bag. Jute Hessian 50 Kg Rice Bag. We are offering Jute Rice Bag to our Client. We Provide customized bags for Packing Rice , Atta , & other food grains. These Bags are durable , cleap & attractive. We are one of the leading manufacturers and suppliers of an excellent range of Jute Rice Bags for our esteemed clients. Our offered bags are designed under the expert guidance of skilled artisans, possessing vast experience in this domain. Our entire range is crafted from high-grade raw material, using advanced technologies. We manufacture Double Warp Cloth from 24 to 40 of various weights ranging from 10 oz to 16 oz/square yard. Mainly used for packaging applications- Agricultural and Industrial. 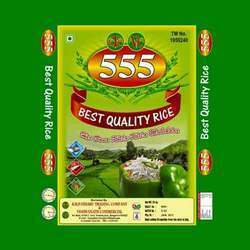 We take massive preference in bringing forth for our customers a comprehensive BOPP Printed Rice Packaging Bag. We offer these at market leading rates. Utkal Polyweave Industries Pvt. 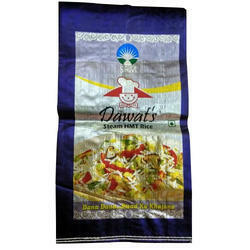 Ltd.
We are leading manufacturer of rice bags in Kolkata.